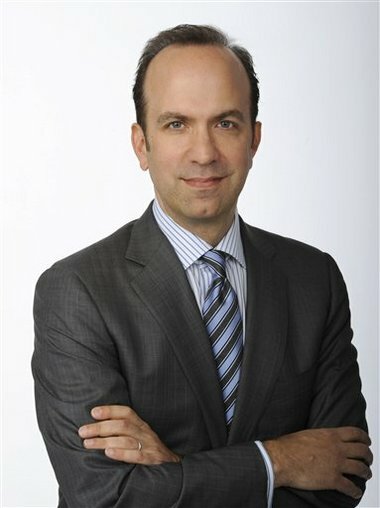 ABC has selected Ben Sherwood, a former producer of "Good Morning America" who left to write novels and start a website, as its news division president. He replaces David Westin, who announced earlier in the fall that he would be stepping down after 14 years. Sherwood takes over a news division where many of its broadcasts — "World News," "Good Morning America" and "This Week" — have recently undergone personnel transitions that left them losing ground in the ratings to the market leader, NBC News. Like many news organizations, ABC has been hit hard by staff cuts and faces the challenge of turning a profit in a rapidly changing television world. Besides his work as a journalist, Sherwood is an author who wrote the novel "The Death and Life of Charlie St. Cloud." He is a founder of a website that is a resource for people surviving in the face of adversity. Sherwood also worked closely with Diane Sawyer, now the top news anchor at the network. He joined the network as a producer at "Primetime Live" in 1989 when she was there and was the behind-the-scenes boss at the morning show in the early 2000s when Sawyer was co-anchor with Charles Gibson. "This is a job that needs someone who can think untraditionally about traditional problems, and Ben is the kind of guy who can do it," said Richard Wald, a Columbia University journalism professor and a top executive at ABC News when Sherwood worked there. Between two stints at ABC News, Sherwood also worked at NBC's "Nightly News." He left ABC News in 2006.